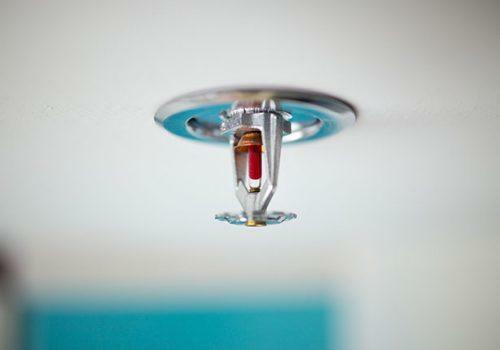 A new report issued today (11th February 2019) by the London Fire Brigade (LFB) has revealed that some housing developers are ignoring advice on fitting sprinklers. As detailed on the LFB website, an audit of purpose-built flats, built or refurbished since 2016, found that only two of the 15 blocks spot-checked had sprinklers fitted. The report can be downloaded here. Premier Technical Services Group PLC (PTSG) is one of the UK’s leaders in the design and feasibility, source, supply, installation, testing, replacement, maintenance and certification of a wide range of fire prevention and suppressions systems – including sprinklers. all buildings housing vulnerable residents such as a care homes or sheltered accommodation. PTSG Fire Solutions Ltd. is the fastest-growing of the Group’s four divisions. It continues to experience a great demand for its services as more developers and building managers look for ways to safeguard their buildings and residents from the threat of fire. PTSG Fire Solutions Ltd. is complemented by its Access & Safety, Electrical Services and Building Access Specialist divisions. Together, they are often able to meet the complete specialist services needs of organisations across many different industry sectors.